Eight Things I’m Not Doing Anymore, Woo-Hoo! Things I don’t do anymore (or do a lot less). In our youth, we are naturally focused on building a career, family, and for most of us, fitting in with general society. In our later years, we can let go of some of the “needs” that seemed so pressing, so desperately desired. We become more choosy, more independent, more authentic, more free.As we approach the middle-to-end of that Snickers bar, we grow in self-awareness, curiosity, perceptiveness, and can even become cosmic in our world views. Others’ approval of us becomes less important to our happiness (this is true! and wonderful!) although we can gain more authentic kindness and empathy. We have more room now. Every day seems to fly by, so we enjoy every sandwich. And we choose to free ourselves from old behaviors that steal our joy. 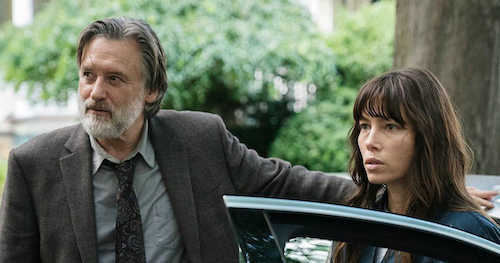 Bill Pullman and Jessica Biel bring the drama in The Sinner. Binge-worthy. Spending money to fix a feeling. The thrill of a new purchase does lift our spirits for a moment, but diminishes quickly. We probably own all we need by now, and shopping is no longer an all-day sprint. And, conversely, being too cheap with myself. I am the Queen of Denial. That is, denying myself experiences and things because I needed to “save for the future.” The future is now, my friends. I’m not advocating emptying our IRA accounts, and living in the South of France. But it’s OK to fly comfort class once in a while, or drink the really good wine. 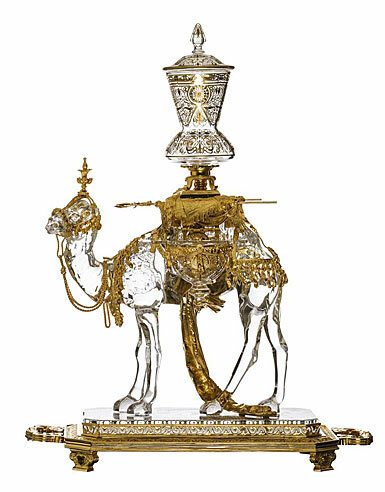 Maybe not the Baccarat crystal camel with bronze adornments. You could buy a condo instead. FOMO. Fear of missing out. I am free from it! I’ve been part of many exciting adventures, with more to come. I am not missing out by reading a great novel, or having a coffee in Washington Square Park. Managing other people and their issues. I offer others a welcoming ear and a hug, but I’m not in charge of fixing their stuff. Unless you are a cat, then I work only for you, 24/7. 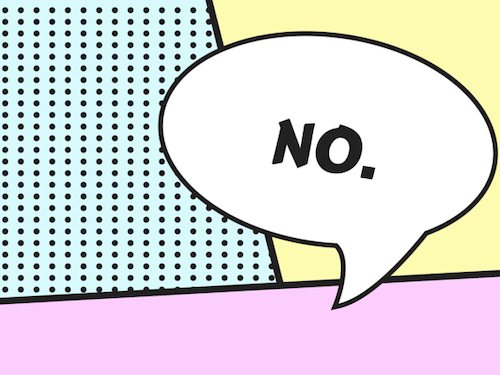 Sometimes, it’s a good idea to say no. Comparing my life to others, in home decor, style, “things”, beauty, net worth. The comparing has gradually gone away, as I accept and am grateful for what I have been given, and achieved. Only exception: when I see thick, full curls on a grown-up woman, I want them! Majoring in the minors. I am more zen about the little things: the window drips a little when it’s cold out, Sandy doesn’t turn his shirts inside out for washing, did I word that Instagram comment just-right? It’s all small stuff. I seek to major in the big stuff. Are there things you’ve chosen to not do anymore? Please share in the comments. All of the things you listed, except for “Being too cheap with myself” (which I’ve never had an issue with) are on my list of things I don’t do anymore either, and doesn’t it feel good? There always seemed to be so much drama in my life and that of my friends when I was in my 20’s and it was exhausting. I also used to be a “people manager” which I try very hard not to do anymore. “Fear of missing out” is a very good one in the list! Most people are not worth the paper they’re printed on–all the more reason NOT to care about others’ opinions. And, I really understand the cat comment–I’ll do anything for them, too! My mother-in-law always used to say “There’s no point in getting older if you don’t get wiser!” and this feature shows you too are wise to dismiss the trivia in your life. I’ve been off the radar for a few weeks, but it’s lovely to start to catch up with everyone again. Have a lovely day! I love your mother-in-laws quote. I’m going to use it with my sons. It goes to show that aging and birthdays are a good thing. See how much better life gets because we learn that most of these things aren’t worth it. Except the wine. Granted we don’t over drink, but we love trying new ones. Sometimes I think I’m a slow learner though. I still have the hardest time with not managing others, and comparing. Not the physical part as much as the accomplishments. Here’s to more birthdays so I can finally get to this point. Letting go of the small stuff has been a goal of mine for the last year or so – it’s been hard to give myself enough emotional distance and to just focus on myself. It’s an ongoing process! Thanks for the words of wisdom, Patti! I am right where you are except I am just learning to say no, because up till now I have been “The Girl who couldn’t say no”. I would wonder why my house was such a wreck and my husband seemed starved for my attention. I have just pared down my busy life for the second time in 5 years. This time I do not plan to over extend myself. I think I finally got it. This is a great post. Thanks. Patti, you are a never-ending source of inspiration for me. In fact, twice last week I felt like I was channeling you as I made my outfit choices for the day. My only regret is that I didn’t take any photos of the ensembles but I’m sure to wear them again. Thanks Patti, for the great conversation. I made ‘stop complaining’, this year’s resolution. So far so good! Stopped kicking myself every time I cannot live up to my expectations. My main two, like a lot of the replies are ‘no drama’ and ‘saying no’. I’m getting much better at practising this. I think it comes naturally with age and, ‘what have I got to loose’ state of mind. Things we put up with when we are younger, and now, really unable to. I loved Cee’s favourite quote from T.S. Eliot. We do burn out of drama, if we’re lucky! Patti, your insights are powerful and always much appreciated. I’m not exactly sure why so many of these realizations come later in life, but if I were to hazard a guess, I suppose all the vim and vinegar of youth is some sort of necessary propellant! As I’ve gotten older (hopefully wiser) I’ve decided to embrace the old therapy well analogy. We are all given a well of energy, realistically depleting as we get older. So the task is to thoughtfully make decisions as to how, with whom, or for what purpose will we give ourselves away. Great post, Patti. I agree with everything, particularly learning to say “no” and not feeling guilty. I also am working on speaking my mind without worrying about others’ approval. That’s a big one for me. As a first born daughter, I live to please and care for others and it’s often a burden. I do enjoy the caregiving thing, but I find I edit myself waaaay too much! Thanks for this discussion. I’m totally embracing a ‘no more drama’ attitude, no comparison, no more anxiety about small stuff (this one is still difficult!). Love this post and love to read the comments!. It’s fabulous to find such wise words and great attitude! Yes—I’m not as zen yet, but I’ve moved along into a few of these already!! I still want the big curly head of hair, too damnit!!! Love you list. I agree. Oh, this is a wonderful topic! Eight AWESOME things to do no longer; thank you for this post! I choose my battles now. Sometimes you can be right or you can be happy. I’m choosing happiness more often. Shop retail. I’m trying to avoid this. Years ago I was addicted to it. Now I find it boring to visit most retail stores. Visiting social media. I’ve pulled way back on this and it has greatly helped with the comparison issue. Drinking. I stopped about 4 years ago due to allergy issues but I think it was a great decision all around. Becoming vegetarian. I haven’t eaten red meat since I was 15 but I stopped everything this year including seafood and chicken. I don’t even miss it. My attitude is a lot like yours in many of the things you mentioned, no drama, no comparisons, no instead of yes all the time. I still make TO DO lists, but I don’t stress out if I don’t get through everything in one day. I just take my time and cross things off, “as I get to them”. If I don’t get to them right away the world’s still revolving and life goes on. I focus more on ME without feeling selfish. I’ve lived this long, I deserve it. As much as we preach to our kids that there is no entitlement when you reach your 60’s healthy, wealthy and wiser you’ve earned a little entitlement.